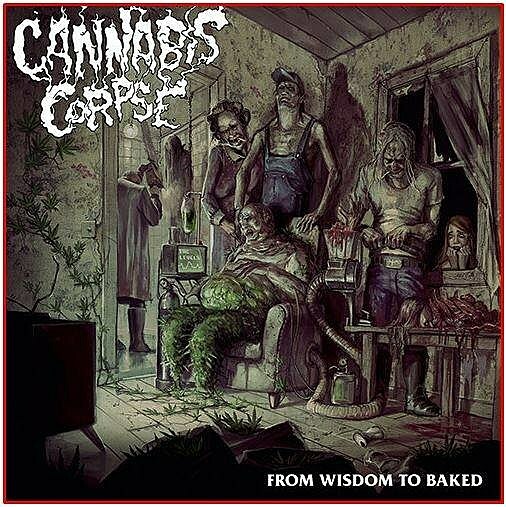 Richmond, Virginia pun-packing pot smokers Cannabis Corpse are now streaming the entirety of their new album From Wisdom to Baked, out June 24 via Season of Mist (preorder). The record continues on in the verdant vein of their previous work, combining chunky death metal with a wry sense of humor that both sends up and fully embraces metal culture. The project includes the talents of Phil “Land Phil” Hall, also of Iron Reagan and Municipal Waste. Speaking of, Hall’s summer is particularly hectic. 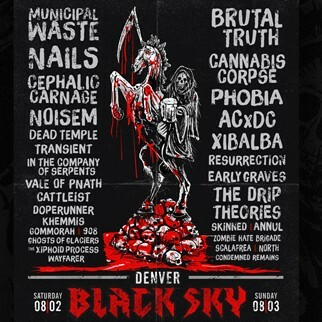 First, both Cannabis Corpse and Municipal Waste will be at Denver Black Sky II on August 2 and August 3 at the Gothic Theatre, the second annual Colorado fest featuring Brutal Truth, Nails, Cephalic Carnage, and Phobia, among others. Then, Municipal Waste and NYHC icons Madball — who shot a video today and are playing the Body Count record release show tonight (6/12) — will head out on a short East Coast run that includes Heavy MTL fest. All dates are listed below. Iron Reagan, in addition to appearing at Fun Fun Fun Fest, Pittsburgh’s Skull Fest and the Gwar-B-Q, play the Acheron in Brooklyn with Eyehategod in July. Finally, Municipal Waste will be jumping on the Overkill and Prong tour date at New Jersey’s Starland Ballroom on September 27 with Apathy and Midnite Hellion also added to the bill (tickets). Jeeze, if only there was some kind of relaxing herb Hall could take to ease the stress of a slammed schedule. . .